Tusker Premium Ale is the latest beer brand from EABL. 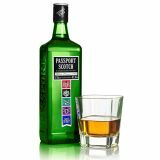 Passport Scotch is a popular blended Scotch whisky,probaby due to effective marketing and affordabilty.The drinks comes in a greenish bottle with a square shaped feel. The alcohol content of Passport Scotch Whisky is 40%. 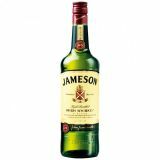 Enjoy black Friday alcohol deals from Nairobi`s favourite online liqour store Dial A Drink Kenya.Our Black Friday drink deals are on selected brands of alcohol.Visit our website to see our crazy Black Friday dicounts on alcohol.Areas within or surrounding Nairobi enjoy fast and free drinks delivery services. 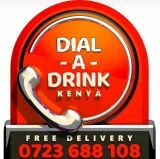 Dial A Drink Kenya offers alcohol delivery services for wine,whiskies,vodka,cognac,vodka,tequila,gin,champagne and more. Merlot and Cabernet Sauvignon wines are the most popular varietal wines.Although both of them are largely red in colour,they also possess glaring differences that sets them apart.The differences get so distinguishing that a person that takes one variety sticks to it and can almost never settle for the other. Dial A Drink Kenya is an alcohol delivery service based in Nairobi and its environs.This online liqour store was established since the year 2013 and has grown by leaps and bounds to become Nairobi`s favourite liqour store and Kenya`s top ranked drinks delivery service.Dial A Drink is the pioneer in drinks delivery in Kenya. King Kaka is now a Global ambassador for Remy Martin,a premium cognac that recently launched a global campaign dubbed,"One life.Live Them."